I am so excited to share with you some brand new products you can earn for FREE until the end of March 2018. 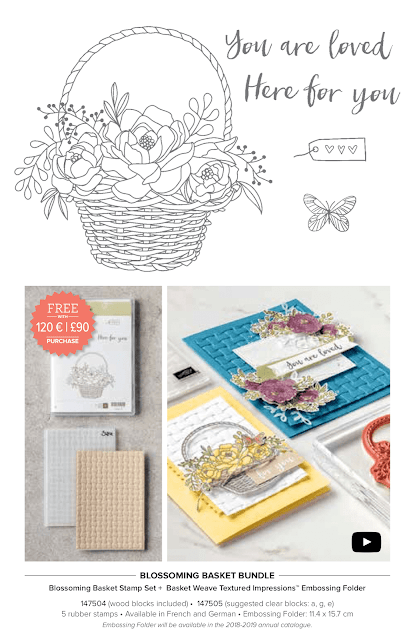 As you know for every £45 you spend in my Online Shop you get to choose a level one free gift, spend £90 and you get to choose a level 2 free gift. Well as from today we have some new editions goodies that might grab your attention. And my first play was with the yummylicious duo that is the Blossoming Basket stamp set and fabulous Basket Weave embossing folder. I am crazy over the gorgeous 3D texture of this folder.... fabulous. I embossed my image in white emoting powder then simply coloured the basket using a blender pen and some of our inks. 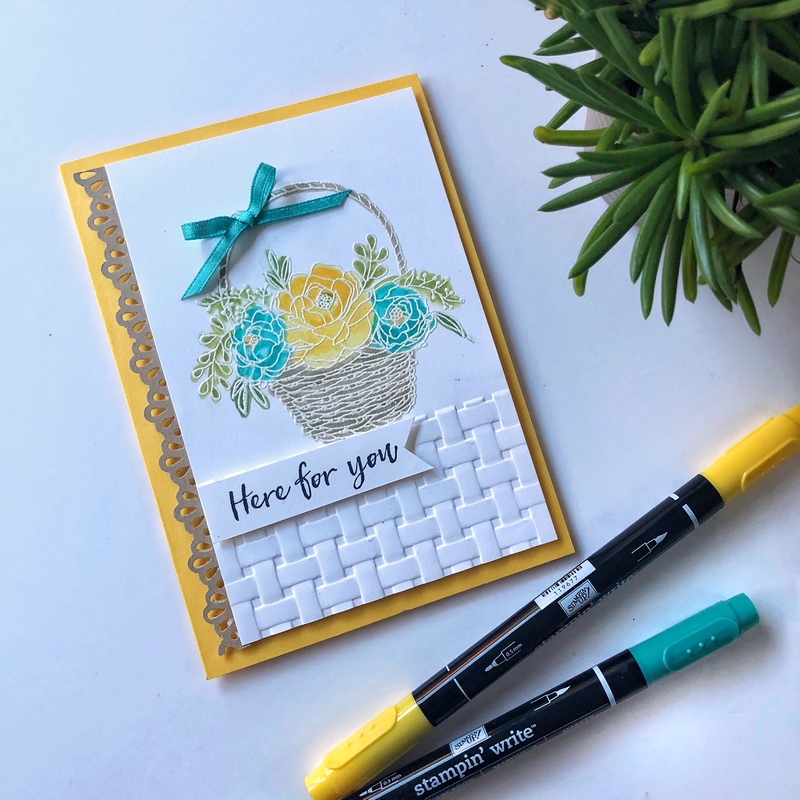 Quick easy and it gives the basket such a soft look. The border was made using THIS decorative border punch from Crumb Cake card. 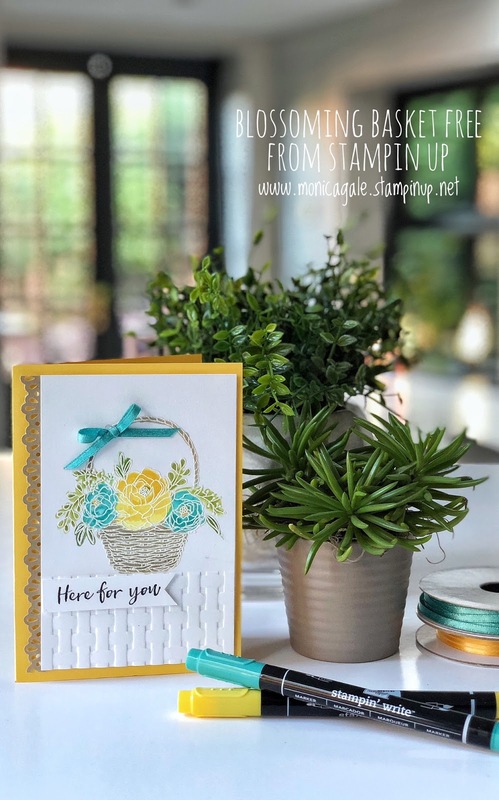 Card base is Daffodil Delight and Bermuda Bay was used for the blue roses. 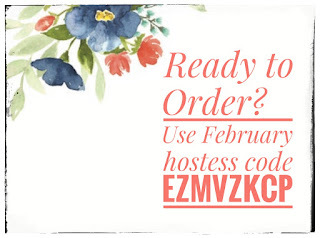 Here is this delightful bundle and the item codes if you are placing an order for it. Now if you fancy doing any shopping this weekend, make sure you use the hostess code for this month. This will ensure you get an extra gift from myself. As always thank you for you visit, I hope you will have a wonderful weekend .